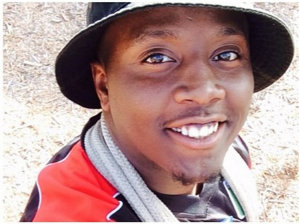 Christian Aganze (Morehouse ’16) who participated in the 2014 and 2015 programs, has been awarded an American Astronomical Society (AAS) Funds for Astronomical Meetings: Outreach to Underrepresented Scientists (FAMOUS) grant. The grant provides up to $1000 for travel, meals & lodging for participation in the January 2016 AAS meeting in Kissimmee, Florida. Christian will be presenting his work searching for distant brown dwarfs in the HST WFC3 Infrared Spectroscopic Parallels Survey (WISPS). 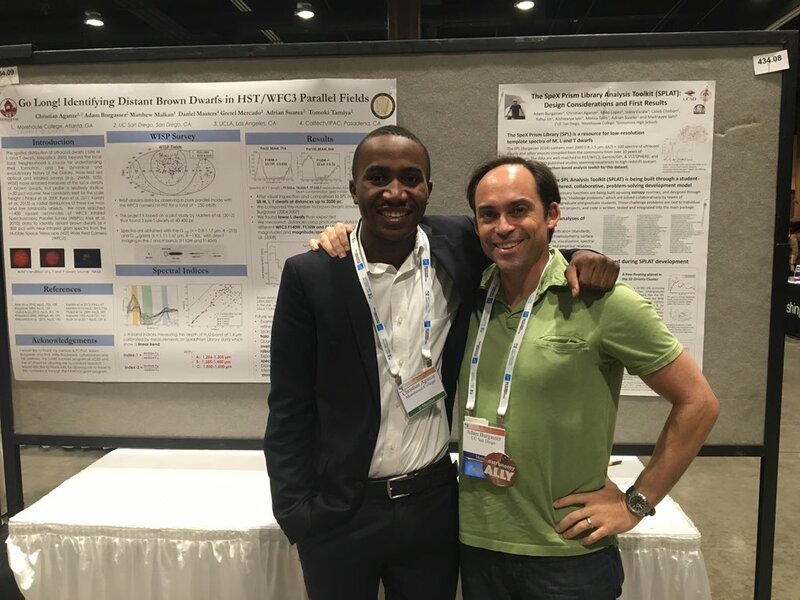 Julian Pilate-Hutcherson (Bridge class of 2014) was awarded a Best Poster Presentation Award at the March 2015 Society of Physics (SPS) Student Zone 6 Conference at Auburn University. He presented his work on “Using dynamic light scattering to study nanoparticle dynamics” he conducted while working with Prof. Oleg Shpyrko during the 2014 Bridge program period. Julian recently began his Master’s degree work at the University of Notre Dame. 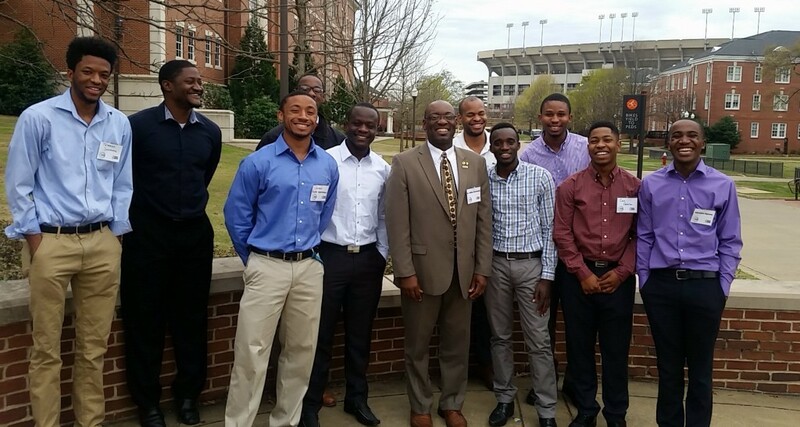 Julian Pilate-Hutcherson [third from left] with Morehouse Physics chair Prof. Willie Rockward [center] and fellow Morehouse students at the Zone 6 SPS Regional Meeting in March 2015.